Old Maid Cat Lady is your home for all things "cat"! We currently have over 2,600 products for cats and for people who love them, with more being added all the time. You can shop by category, browse through all the products for cats, all the products for people, or do a specific search for exactly what you need. Roll over the menu to the left to see a flyout list of sub-categories for each main one. Products are shipped directly to you from our suppliers. All those things you can't find for cats in the pet supply stores? We share your frustration and have made it our mission to find them for you. If you're new to the cat-ownership world, you'll also find lots of helpful information on cat care and behavior here. 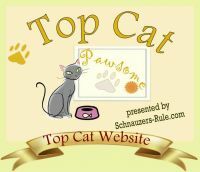 Many category pages have articles, there's an informative blog, and also free downloadable brochures that can be copied or printed by shelters, cat rescue groups, pet sitters, or veterinarians to help educate people about cats. Don't see what you want? Fill out the Product Request form on our home page and we'll track it down for you. We want your shopping experience with us to be fun and hassle free! If it's anything less, please e-mail us to let us know how we can improve for your next visit. Product and product category pages on Old Maid Cat Lady do not require a log-in; you're free to browse them anonymously. For this reason, they will show on Google as Not Secure. Once you click on the shopping cart, you'll notice that the URL switches to our store hosting company's URL and you are behind a secure firewall. Rest assured that your personal and payment information are always kept secure when shopping on Old Maid Cat Lady. We're a Small Business, Too! Supplies and accessories for your kittens, on sale! Kitten Nutri-CalGot a malnourished kitten? This should help! KMR Emergency Kitten Feeding KitKit for feeding orphaned or rejected kittens: all you need to add is a little water, and the love! KMR Kitten PowderContains colostrum, just like mother's milk! KMR Kitten Powder in CanisterCanister available in two sizes. Wallet Smaller Than Kitty's Wants? You can still shop on Old Maid Cat Lady by using this service! Click on the ad below to see how. Adjustable Height Cat DinerSet it at whichever height is best for your cat! Calm Me Down Calming CollarAn all-natural herbal solution for stressed kitties! Catwalk Muff Tea CosyEvery teapot wishes it were lucky enough to be clad in this! Pete the Cat: Three Bite RuleComes with a coloring poster! See more products for cats! See more products for people who love cats! We're a small business, founded by a genuine old maid cat lady who loves her cats the same as if they were her children, just like you do yours. All products are shipped directly to you from our suppliers; we don't maintain any inventory. This eliminates double shipping, warehousing and staffing that would drive up costs, allowing us to price our items as reasonably as possible. When it comes to shipping, we charge you only what our suppliers charge us to ship the items to you. Those retailers who offer you "free" shipping are only raising their prices to cover the cost of shipping, and we'd rather be honest with you about it. If our suppliers include shipping in the prices of the items, we offer the same to you. We try to treat all our customers the way we'd like to be treated ourselves, and appreciate your taking the time to get to know us a little. If you'd like to know more, click on the "About Us" link in the menu.